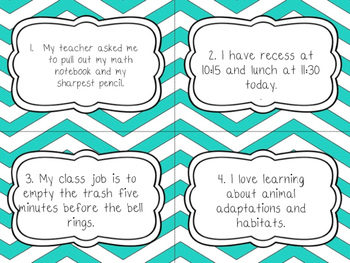 This product contains a set of 40 back to school themed task cards. 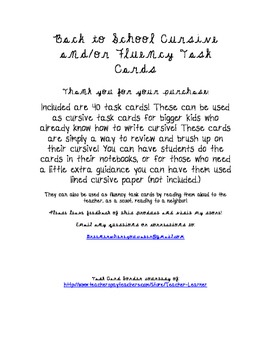 The cards can be used as cursive practice to keep your bigger kids fluent on their cursive. In the older grades it can be a challenge to keep students fluent on their cursive. These cards are short and simple to keep practice up but the stress that comes with cursive down. These cards can also be used as quick fluency builders as a scoot, in partners, or independently.